This survey shows the Christmas gifts consumers planned to buy online in Denmark in 2016. 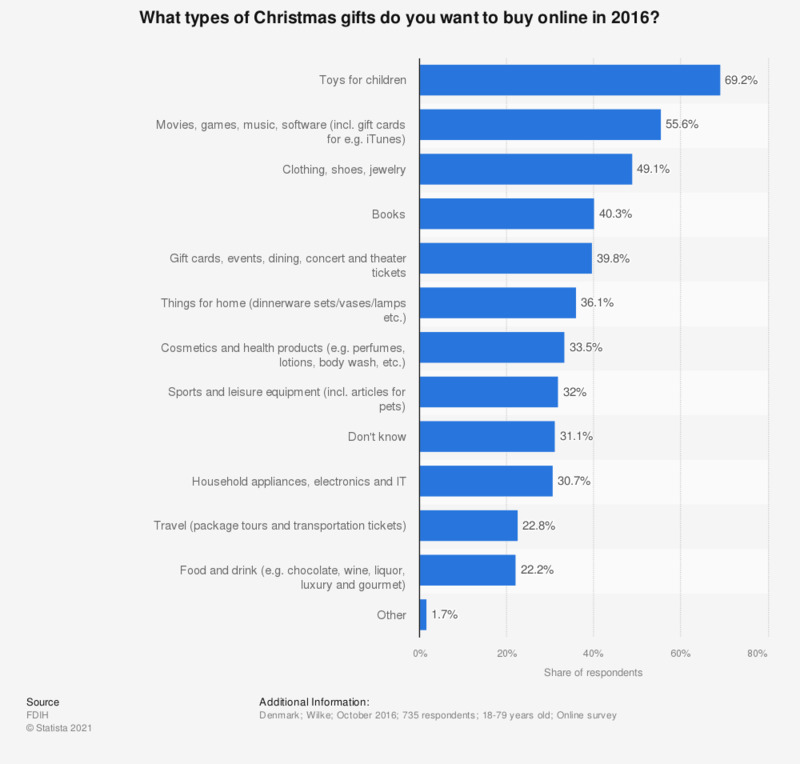 40.3 percent of respondents said that they wanted to buy books online as Christmas gifts. The original question was phrased by the source as follows: "Hvilke typer gaver vil du købe på nettet i 2016?"